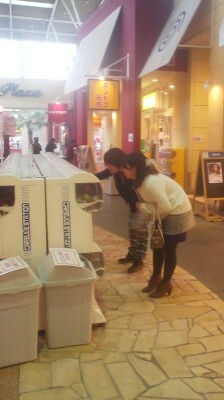 TsukuBlog | Get Your Gacha-Gacha! 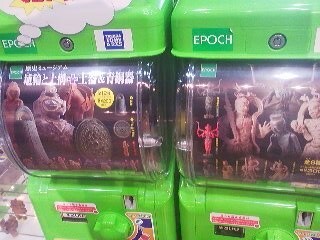 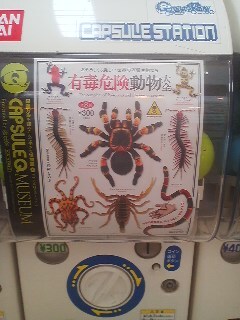 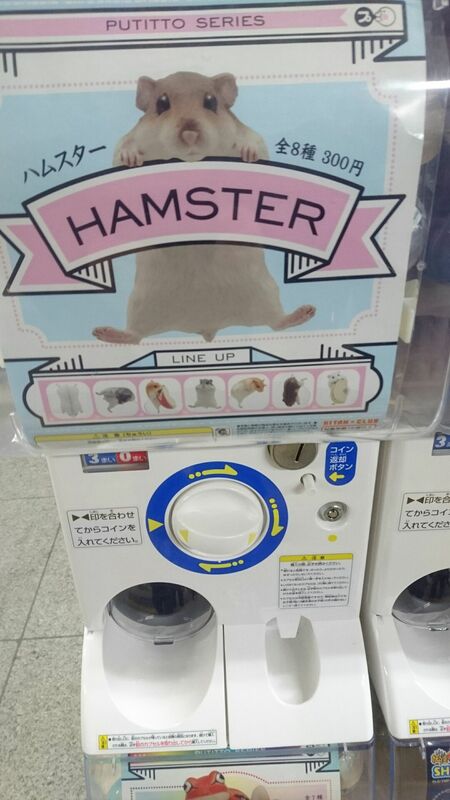 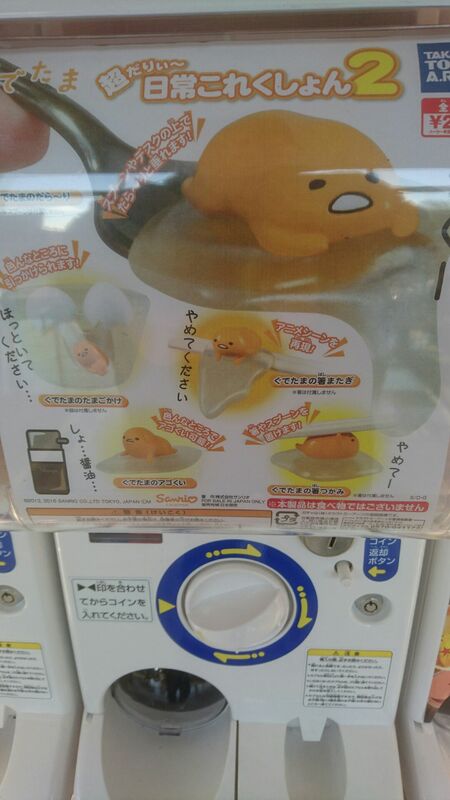 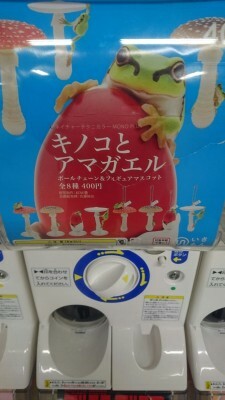 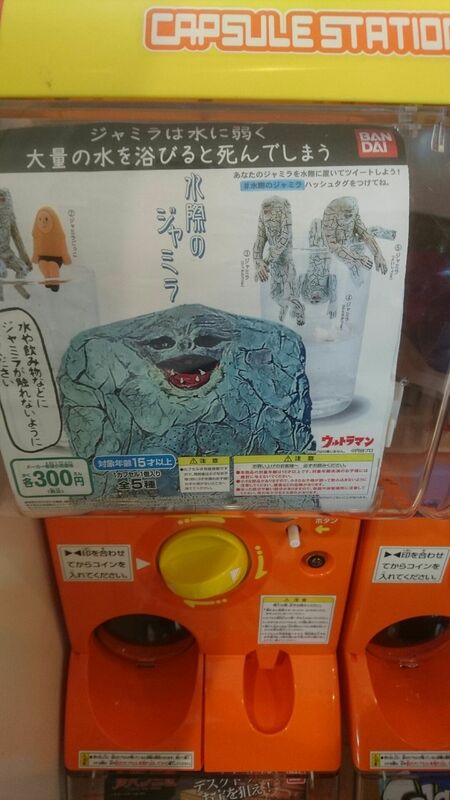 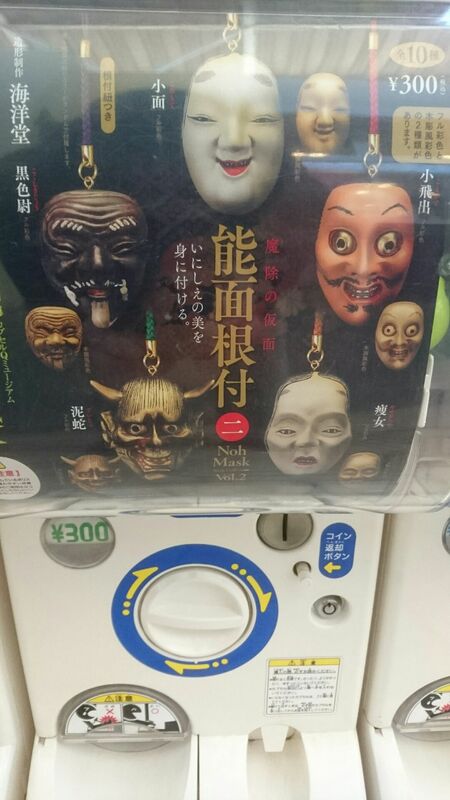 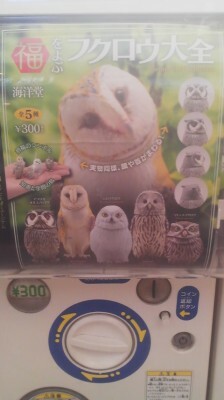 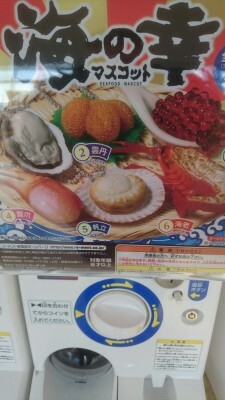 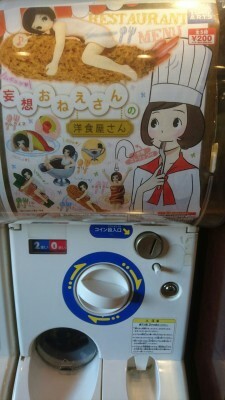 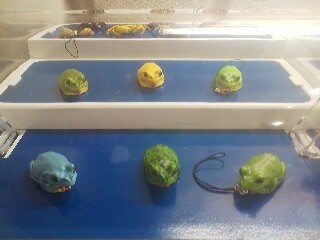 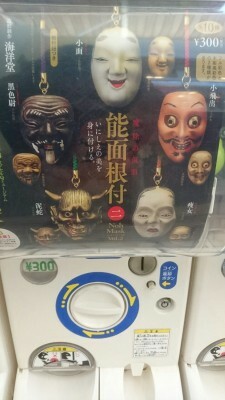 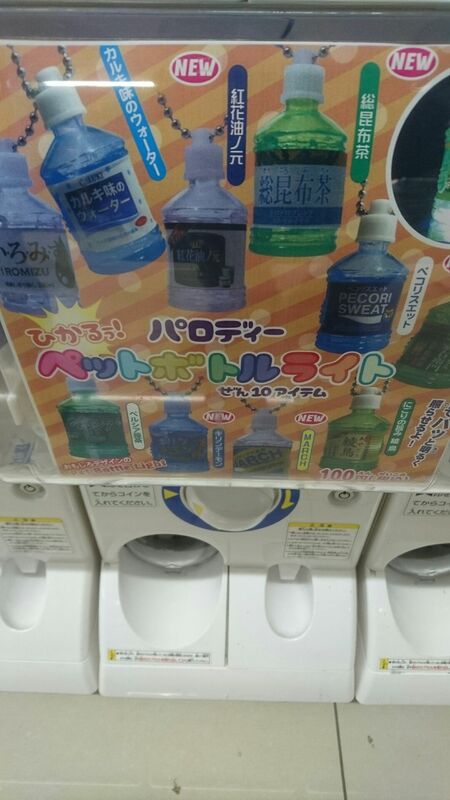 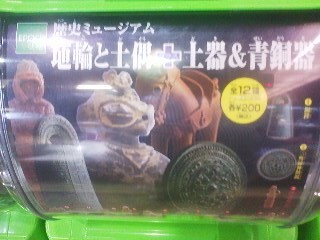 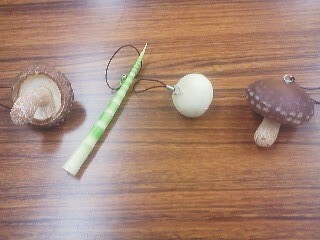 Japan Takes Gum-ball Machine “Capsule-toys” to a Whole New Level ! 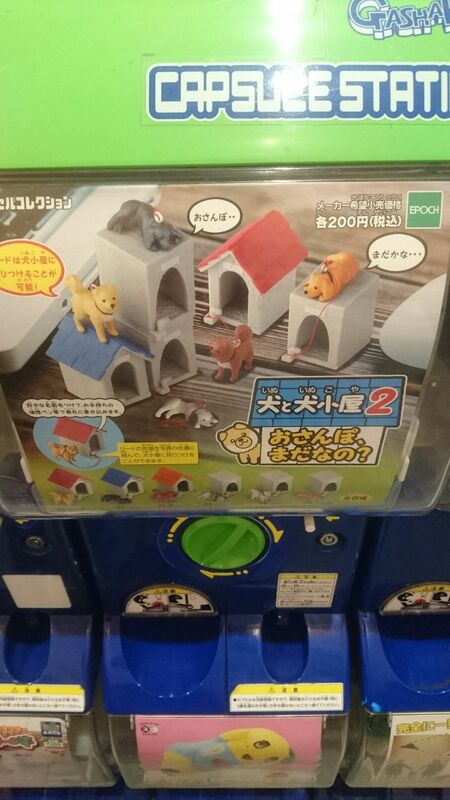 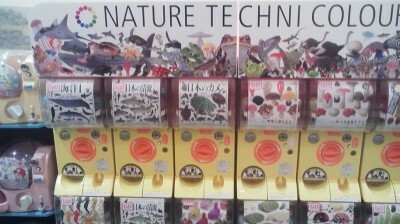 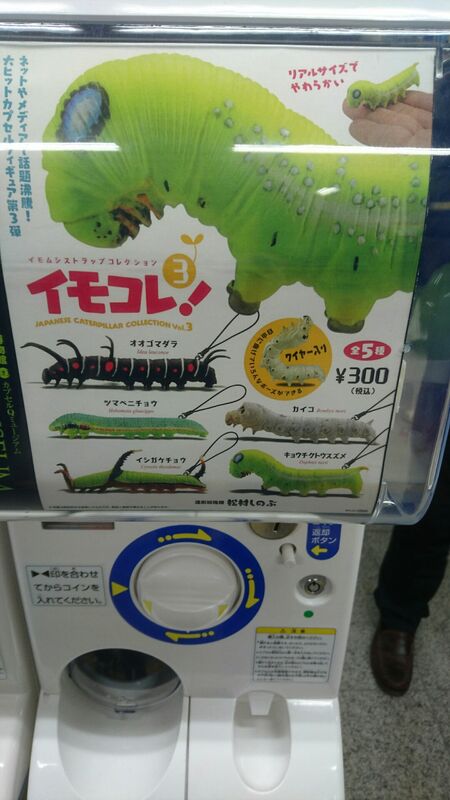 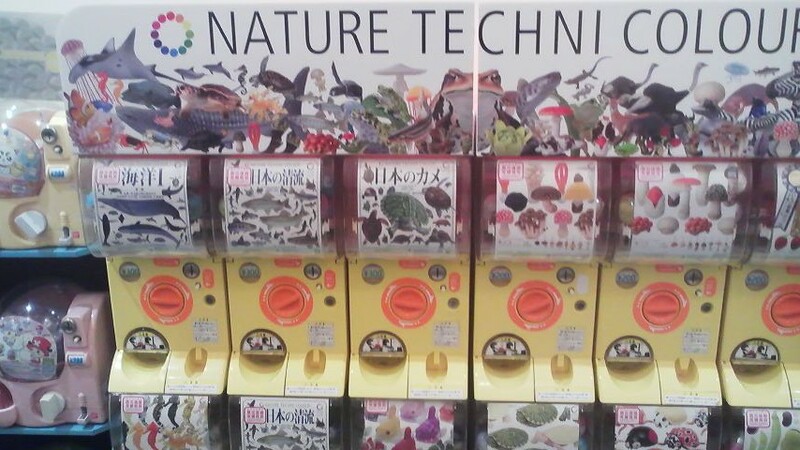 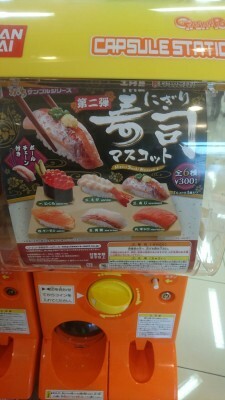 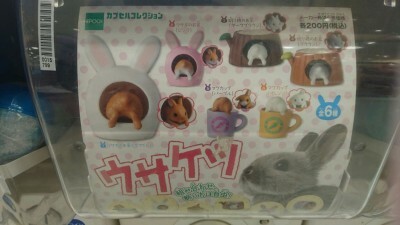 Not just for kids – in Japan there are capsule toys for EVERYONE ! 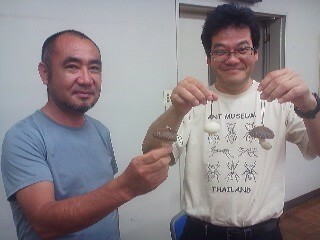 Here are some minature Noh mask replicas, reminiscent of Edo period NETSUKE miniature sculptures ! 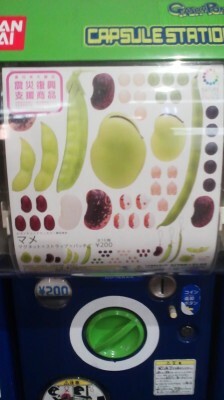 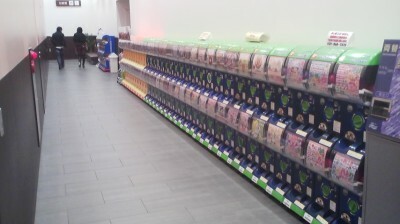 And if you stop to look at the gumball machines that sell thm, you`ll find that the variety of themes – is astounding ! 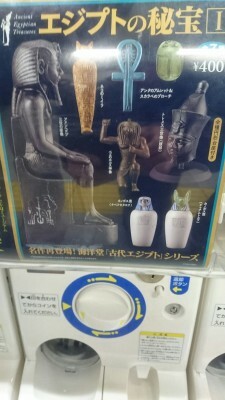 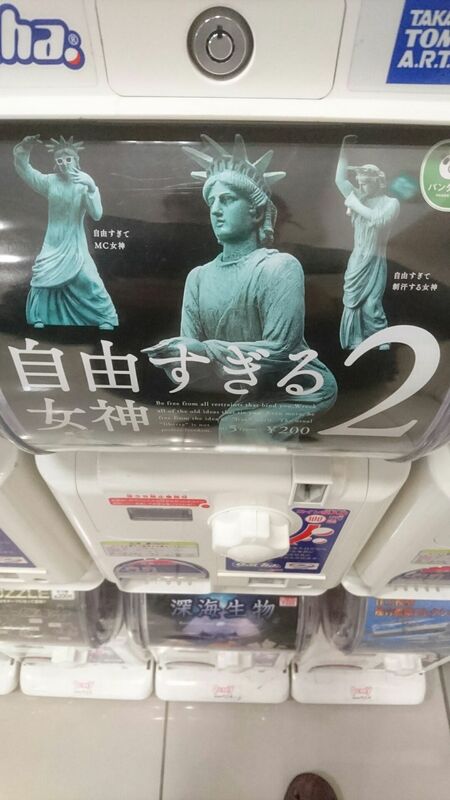 Not only replicas – but the wildest ideas have been renedered into plastic, as well! 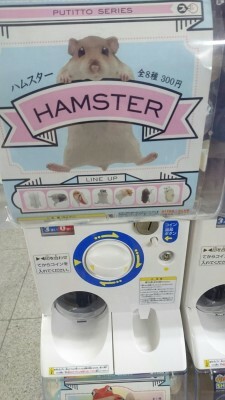 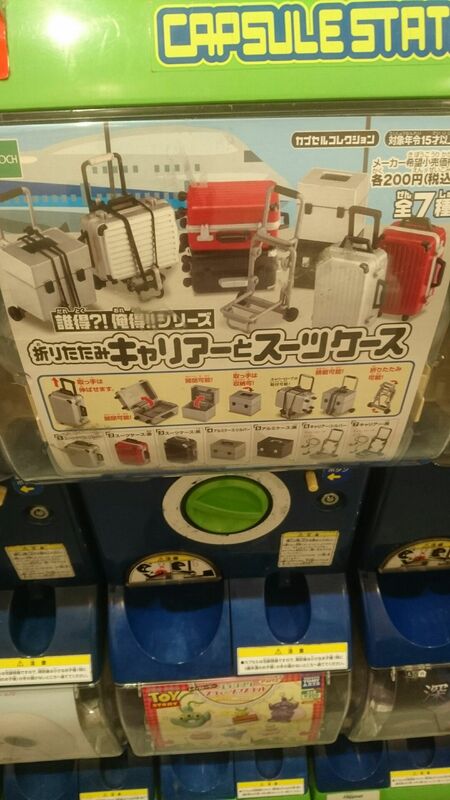 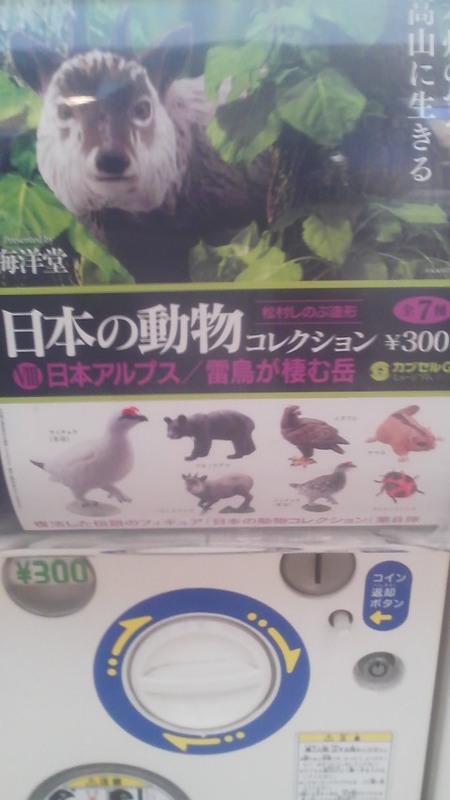 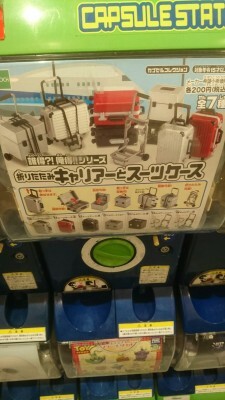 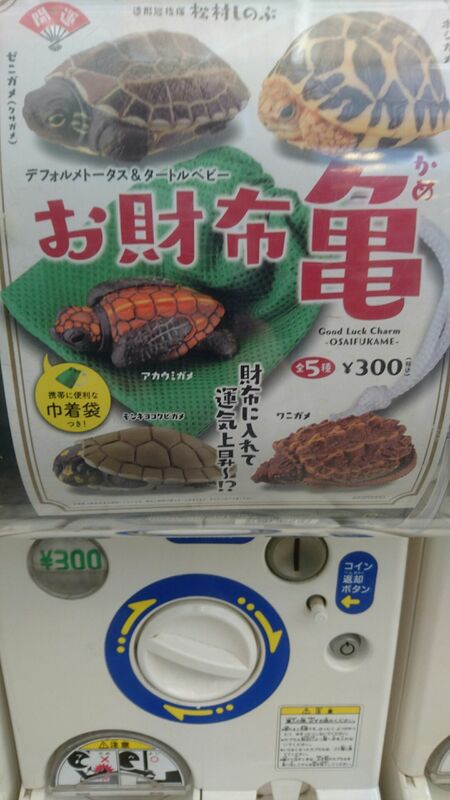 They always get me to ask myself the question – “what will they think of next?” Check the machines out- you are sure to find something to catch your eye – and unburden you of 400 yen in coins! 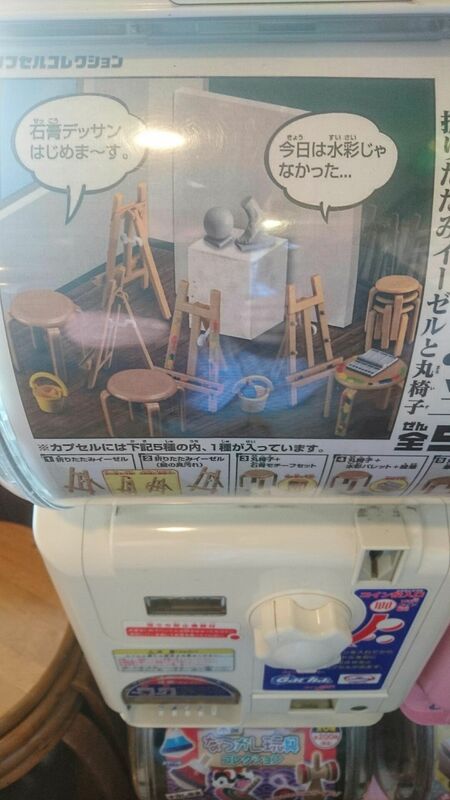 Japan is land of great craftsmen and first-rate designers – and each of its 125 million or so people seems to have his or her own particular obssession. This is where comic books became MANGA – often works of high cinematic artistry – that focus, usually in long series of more than 10 volumes, on just about every topic you could imagine- in fetishistic detail. Manga and Anime have gone on to conquer the world – and where my parents generation thought of geisha girls and kamikaze pilots when they thought of Japan – people across the globe now associate it with their favorite comic characters or cartoon series. 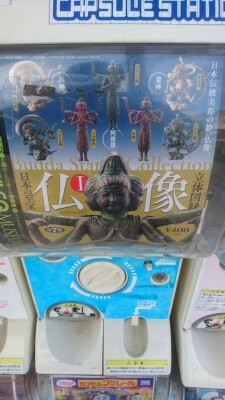 Its a multi-billion dolar industry that draws countless tourists, as well. Collect all your favorite Buddhist images! 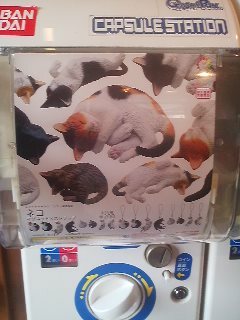 the type dispensed from gumball machines! 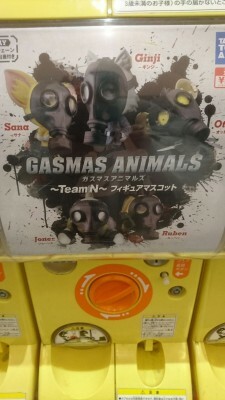 Something similar to what they did with comics – creating something for everyone – boys and girls, men and women, the gastronome, scientist, scholar, art-fan, animal-lover, pervert and wierdo. A girl in your food! 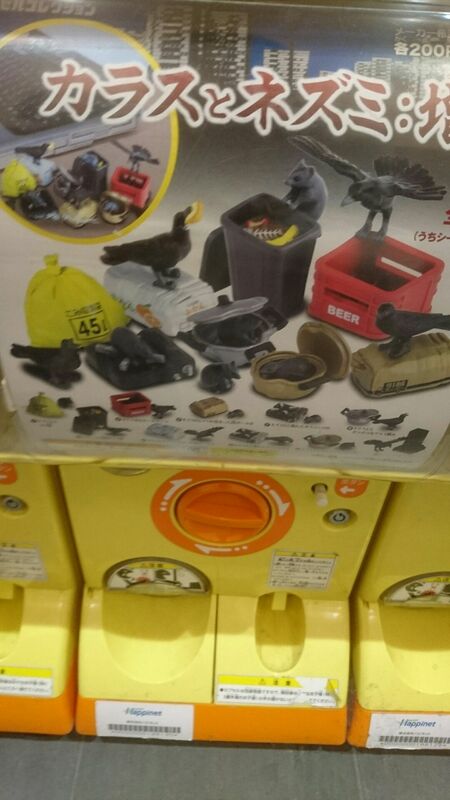 Collected the crows, raccoons and rats featured in the “Creatures that raid your Trash-bin” series! They also can get you hooked like comic books – by creating series – that get you comic back to the same gumball machine again and again to get each of the items (though the capsules come out randomly and you never know what`s going to come out. Animals in Gasmasks … charming?! Bunny rabbits showing their butts! 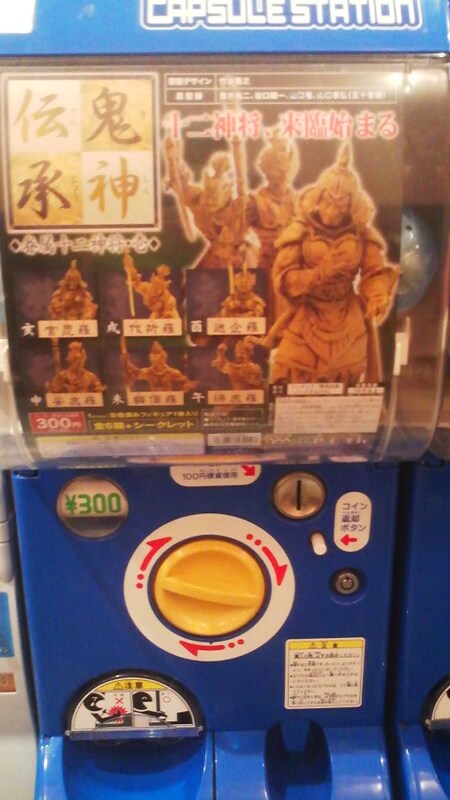 Prices are also comparable to a single volume of comics – at about 400 yen per figure. Character from the National Treasure picture scroll CHOJU GIGA – considered the first Japanese Manga ever. You can find the machines at shopping malls, supermarkets, restaurants …. 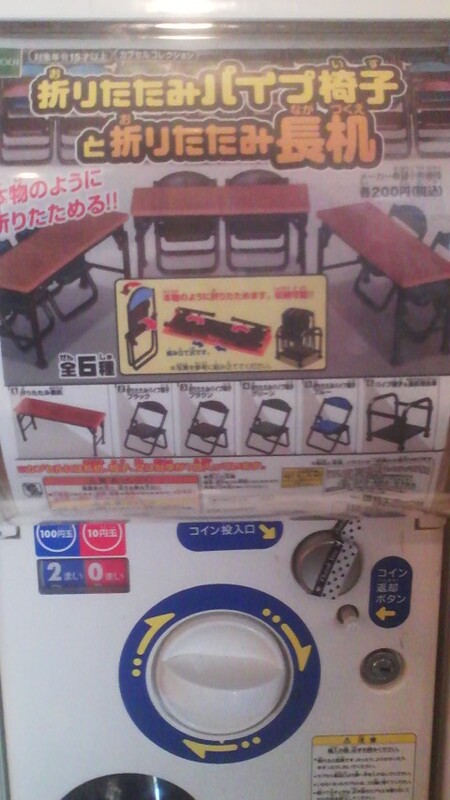 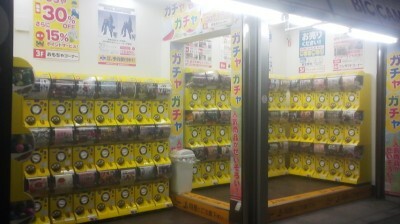 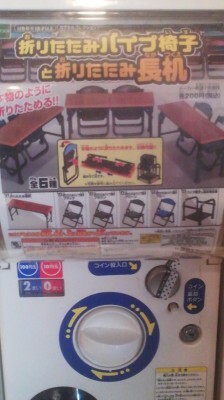 Some Gatcha-Gatcha “corners” have dozens of machines. 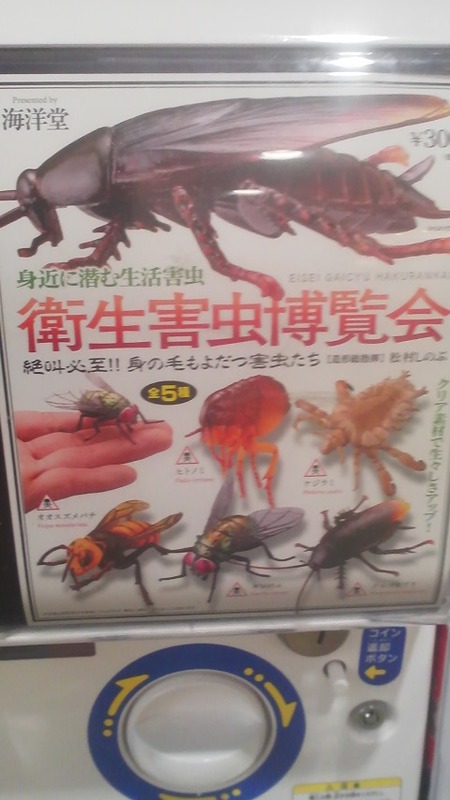 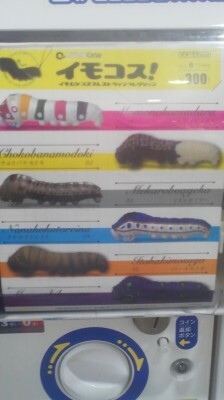 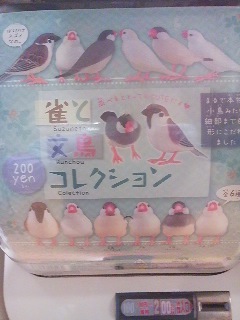 Japanese people call them GATHCA GATCHA , GATCHA PON. GASHA PON, or just plain GASHA. 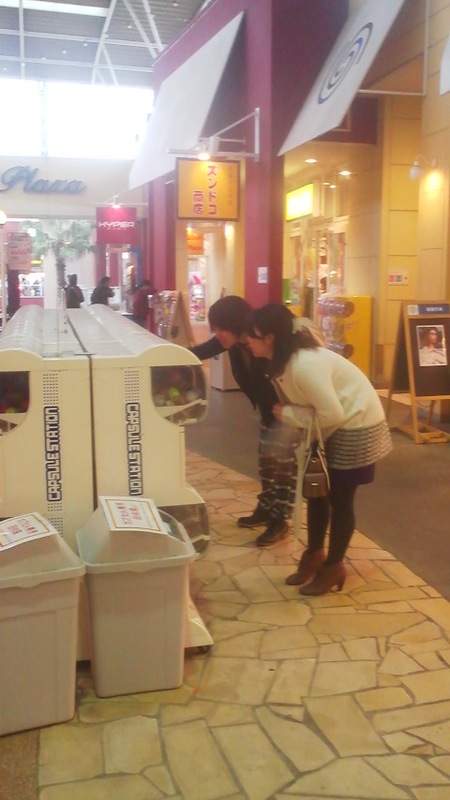 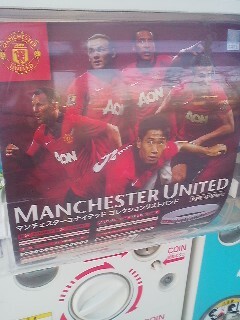 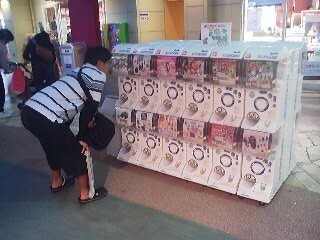 In Tsukuba, I would say that GATCHA GATCHA is the most commonly used among these. 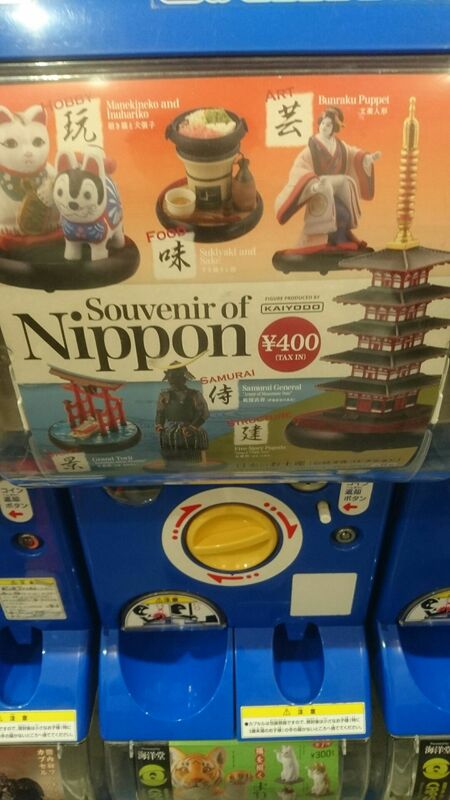 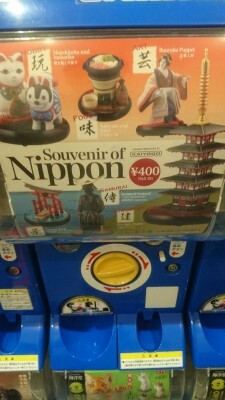 One of the earliest capsule-toy innovations the Japanese makers came up with was to sell souvenir miniatures at all the importatn sight-seeing spots. 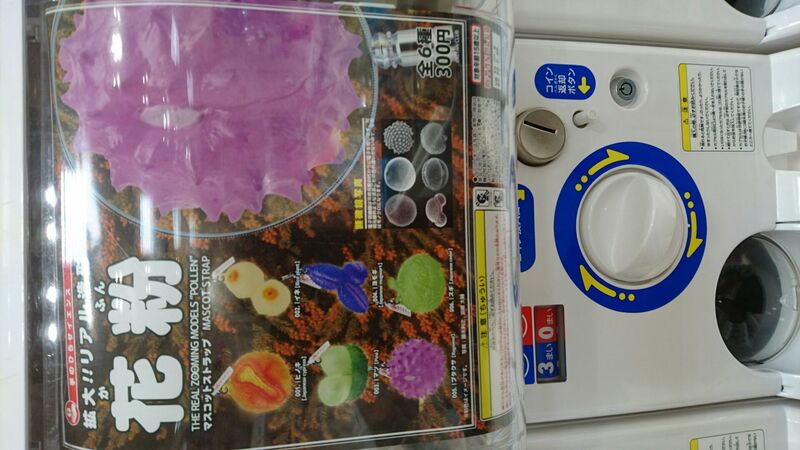 It took GACHA GACHA makers more than thirty-five years to achieve their great creative breakthrough. 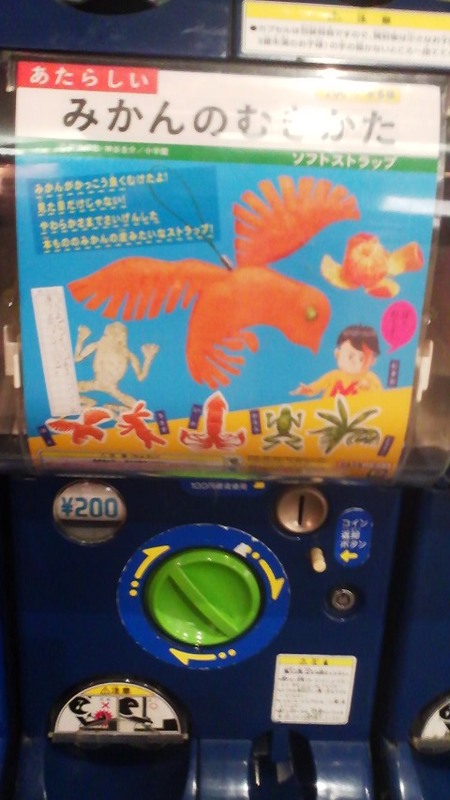 The first capsule toy machines were imported into Japan in 1965 – and already in the 1970s the gumball machines that sold them could be found in supermarkets and candystores throughout the archipelago. 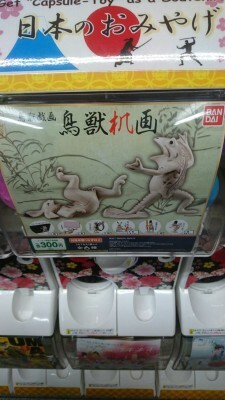 But in their first few decades of activity domestic makers followed the same path as their American counter-parts – and sold cheap and chintzy toys to kids. 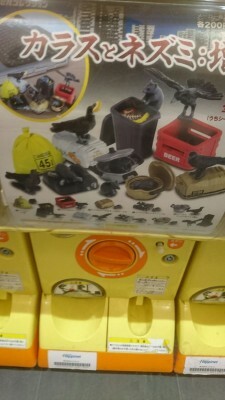 The “revolution” occurred in the late 1990s – when GATCHA GATCHA makers such as Bandai started developing capsule toy series that would appeal to consumers of all ages and interests. 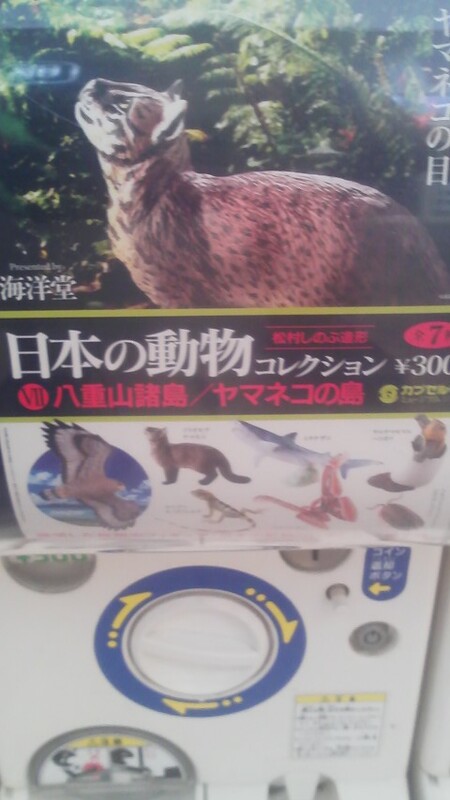 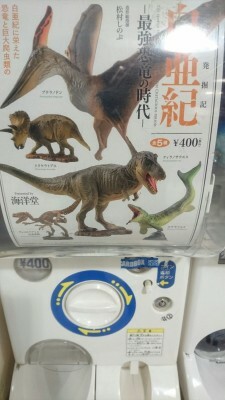 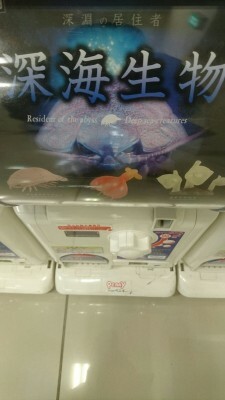 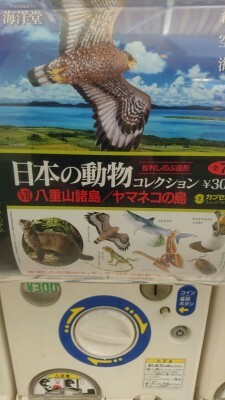 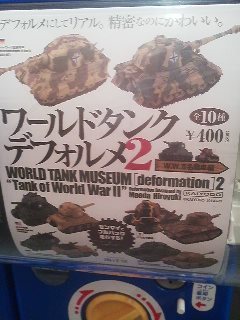 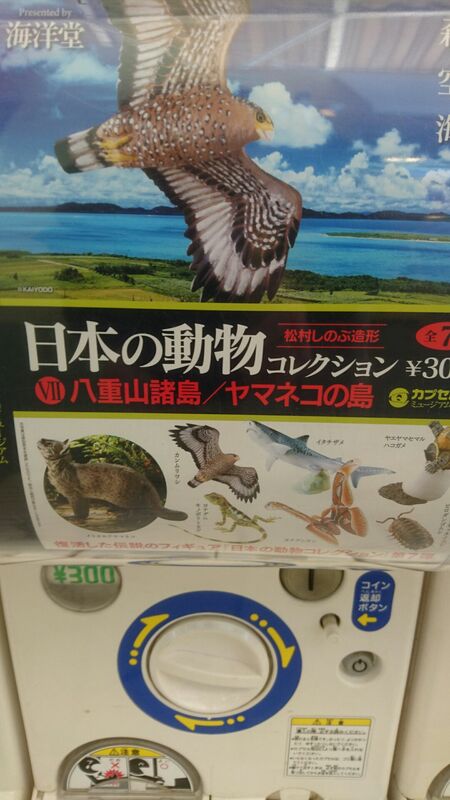 Dinosaurs – probably the least unique Gatcha-Gatcha series – but exquisitely crafted ! Rrrrrrr! Here are a few of the series that I have found on sale at gumball machines in the past few months – they change frequently, so keep on checking! 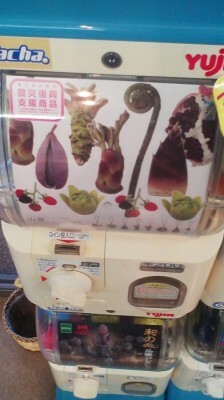 Shaved ice! 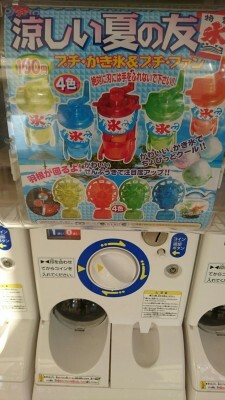 Aperfect gacha gacha for tjose hot summer days! 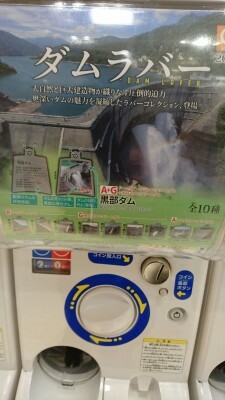 The dams of Japan – get them all! What is this strange creature? He apparently breaks apart in water. 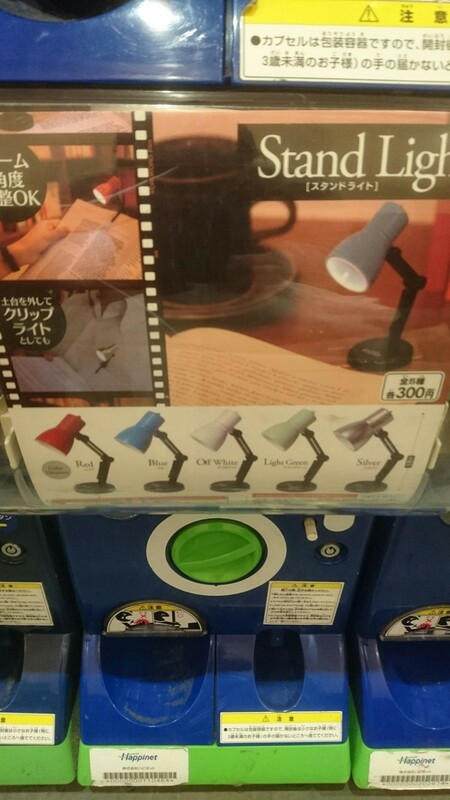 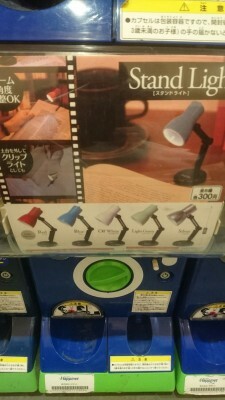 Collect this stand-light : in five differenr colors! 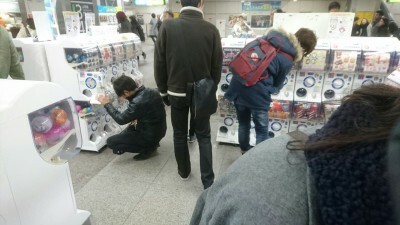 people arrive by train. 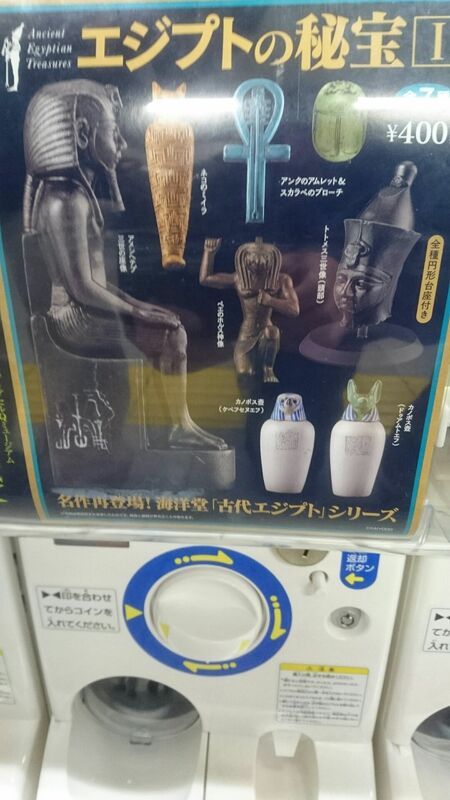 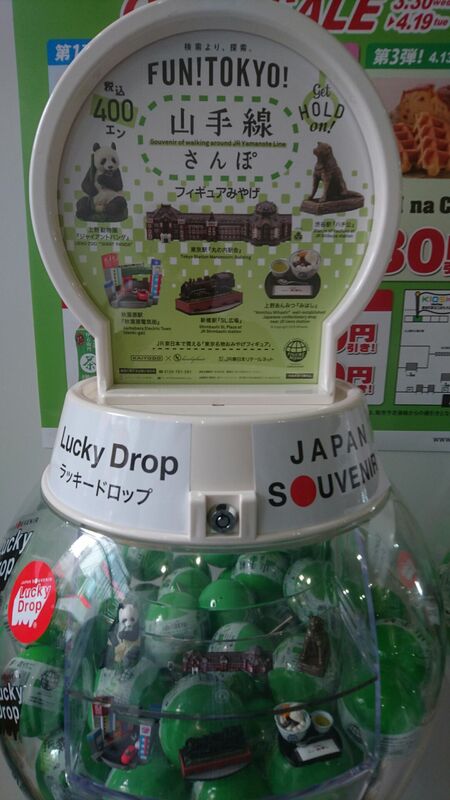 The idea is to get foreigners to spend spend their last coins on the gumball machine figurines. 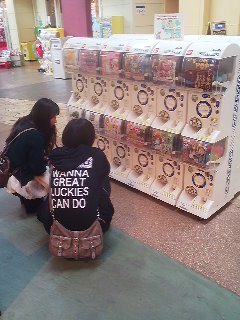 There are about 300 machines, and I saw people spending lots of money on them.I remembered your pictures and prophetic post.